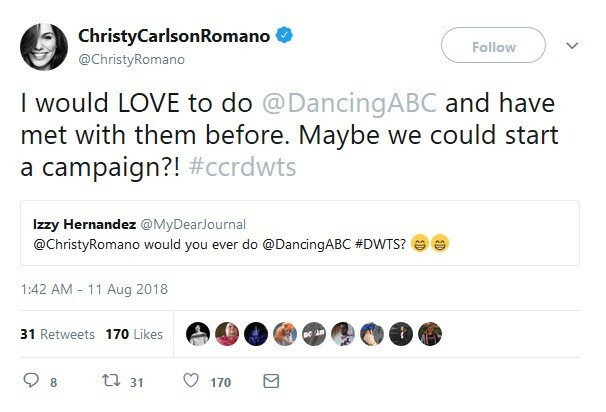 I think she’d be a great choice for the show – there’s nostalgia there from her Even Stevens and Kim Possible days, but she’s also a wife and a mom now and relatable for the DWTS audience. And we’re still (relatively) early in the season 27 casting process – she might be a good last-minute casting if they’re still looking to fill out the roster, and it looks like they have talked to her before…so she’s on their radar. I think she might be a good fit for Alan…thoughts? Did you get to see Mark Ballas and Derek Hough on Disney’s “Shake It Up” Sunday night? It was cool show. If you missed it and special thanks to our Princess Heidi you can view their segment below. Heidi has made some awesome screencaps of the show at Pure Derek Hough as well. Be sure to check them all out when you can! They’re beautiful!! DWTS Mark Ballas And Derek Hough To Appear On Disney’s Shake It Up Sunday! In a reminder: Don’t forget you’ll also be able to see Mark judge the Miss America pageant next Saturday night!! Thanks to @Will_1031 at twitter for the “Shake It Up” news!